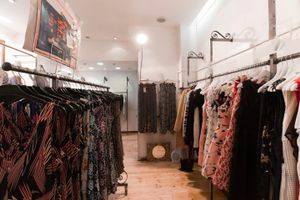 This quirky retail space located in the centre of Le Marais is perfect for ready-to-wear retail, showrooms and Fashion Week sales. 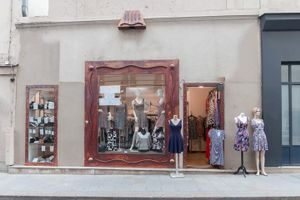 This shop has a one-of-a-kind frontage with metal design work in a terracotta color and window displays. The interiors are minimal with white walls and wooden floors and the space is well suited for ready-to-wear retail. 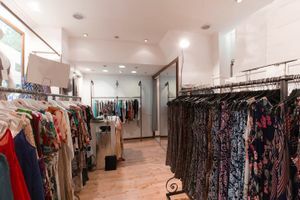 There are extensive garment racks and mirrors in the space as well as fitting rooms and hangers. Located on a busy intersection with high foot traffic and great visibility, this store is perfect for brands to connect with their customers.